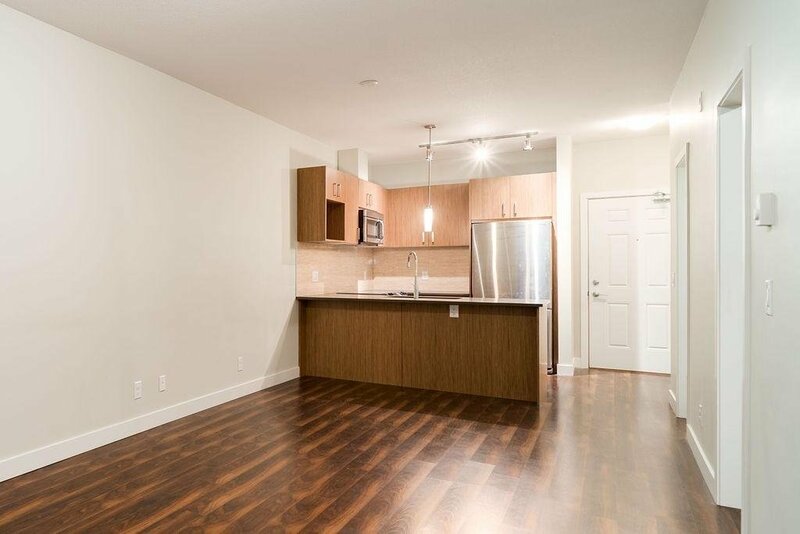 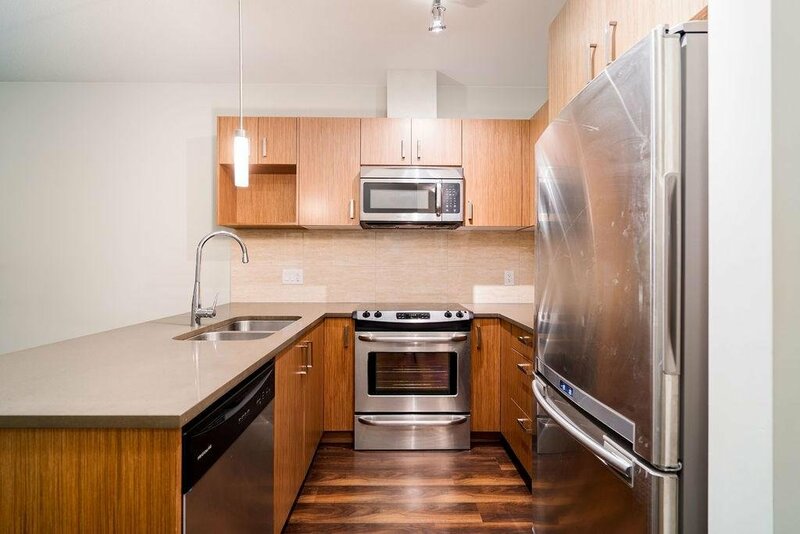 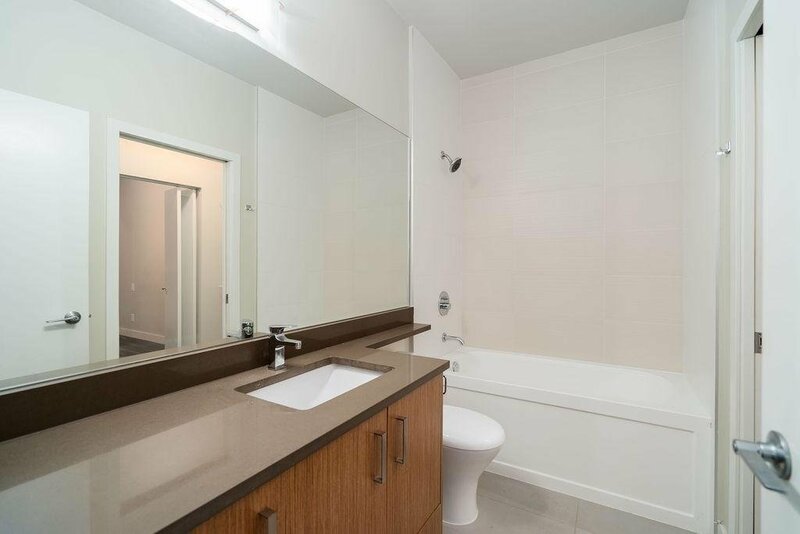 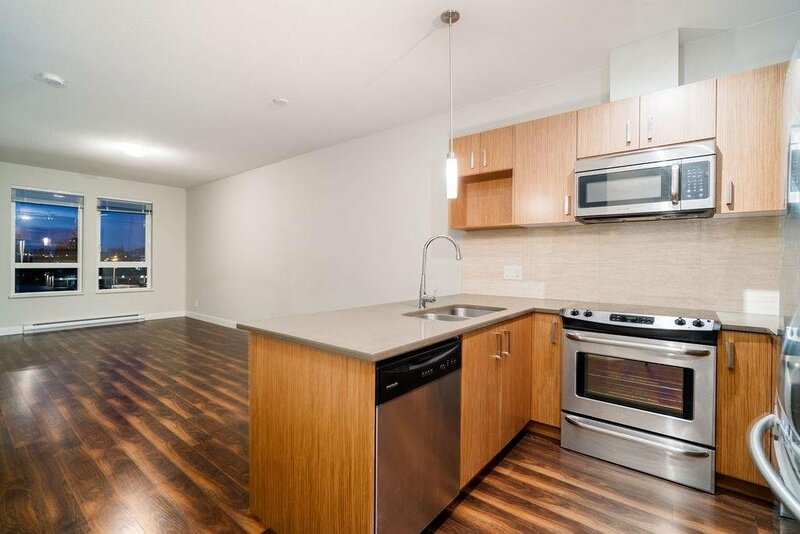 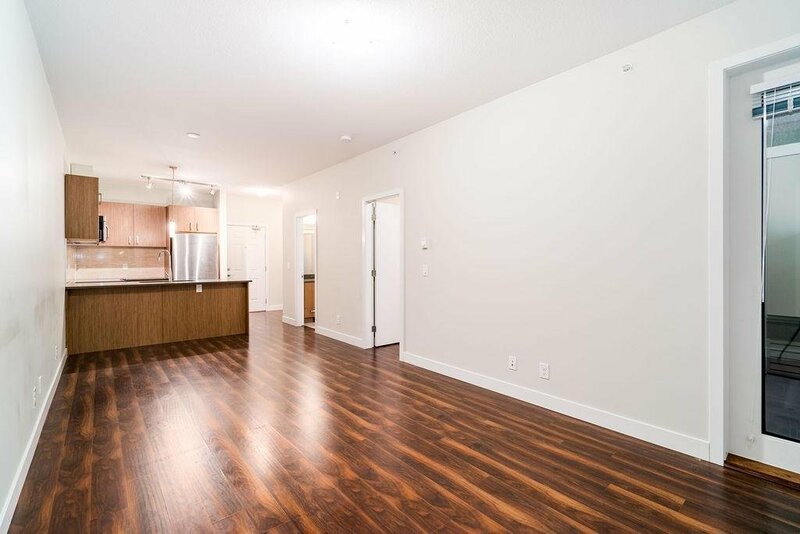 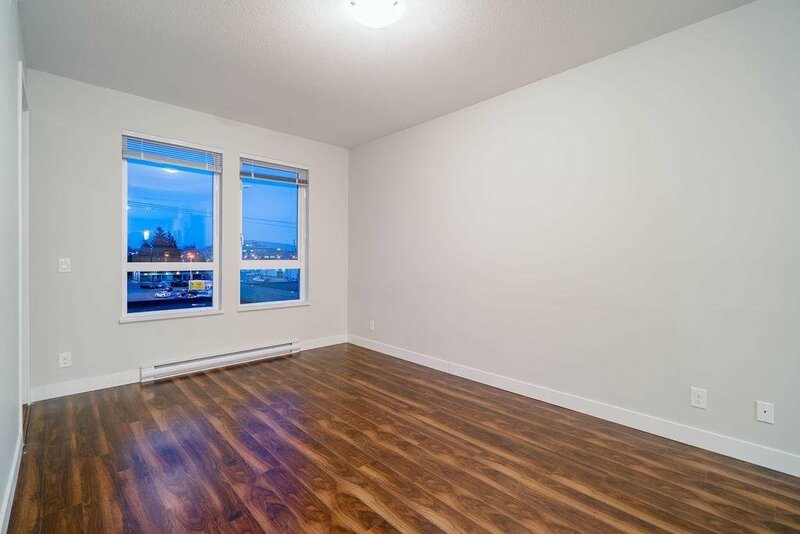 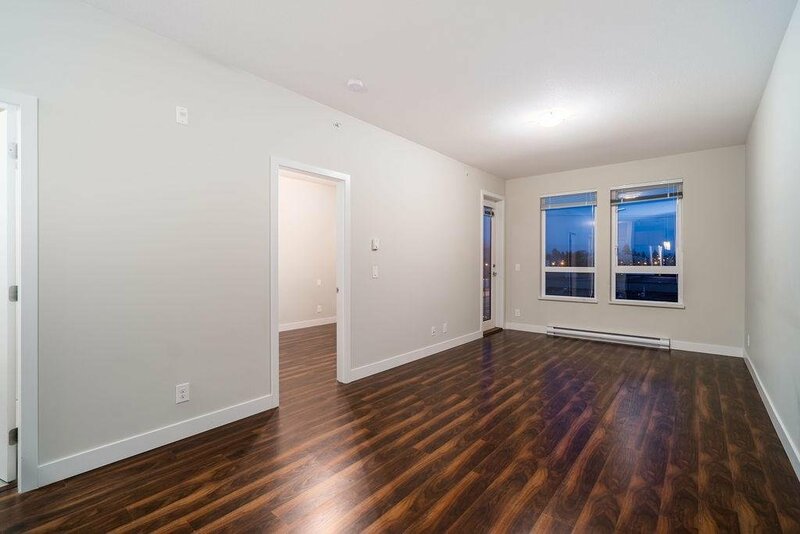 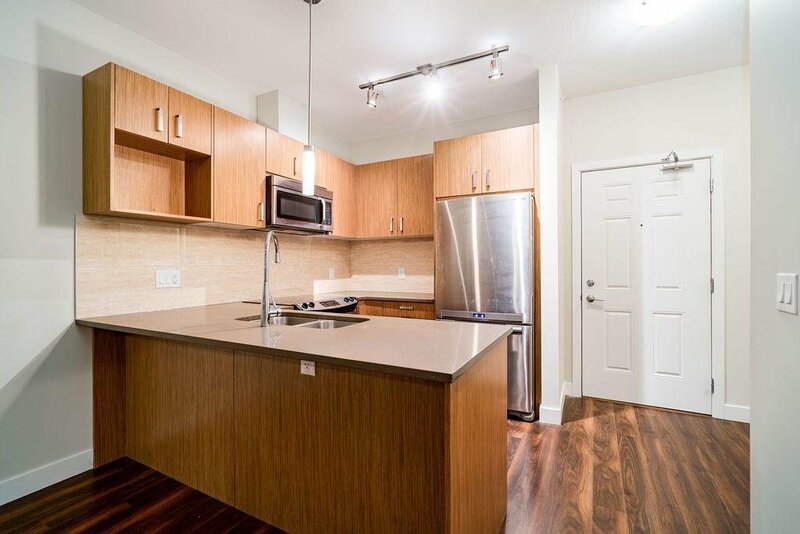 PARC VUE - Top floor 710 sq ft one bedroom plus large den condo features, S/S appliances, quartz countertops, back splash, built in microwave, 9' high ceilings, laminate and tile floors, in suite laundry, and spacious balcony with Golden Ears Mountain views. 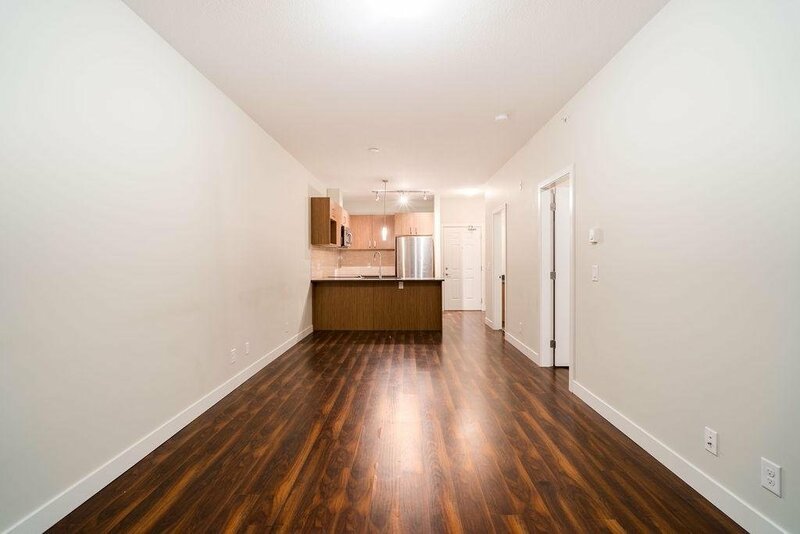 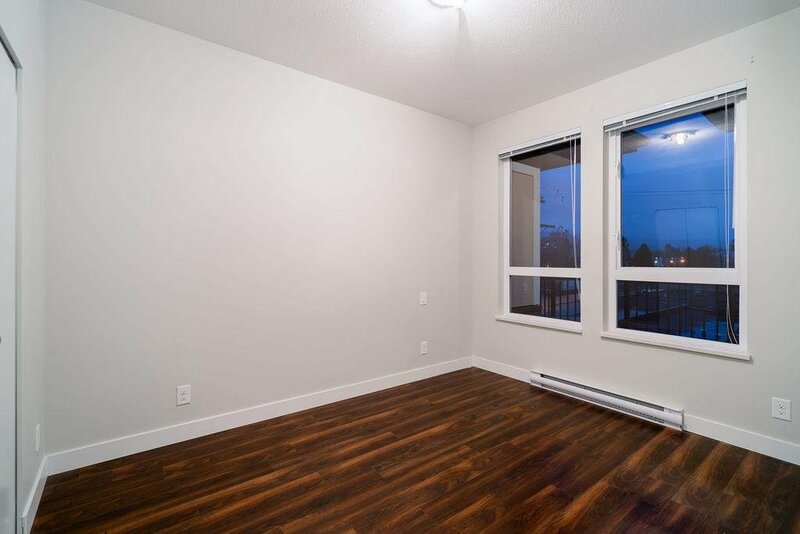 Only 4 years old, this building has the balance of the new home warranty and no GST payable bonus. 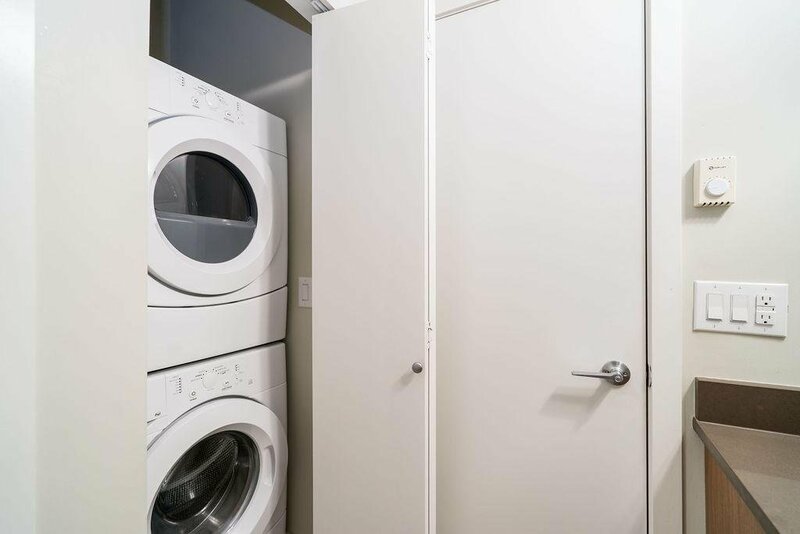 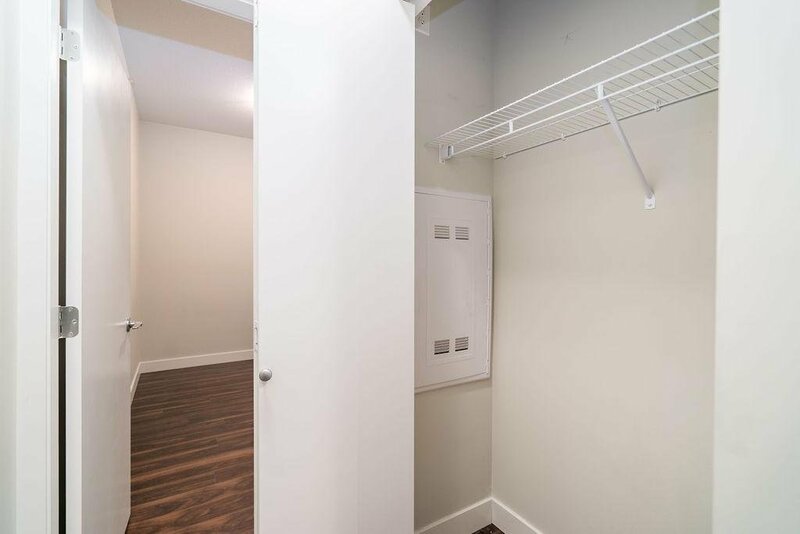 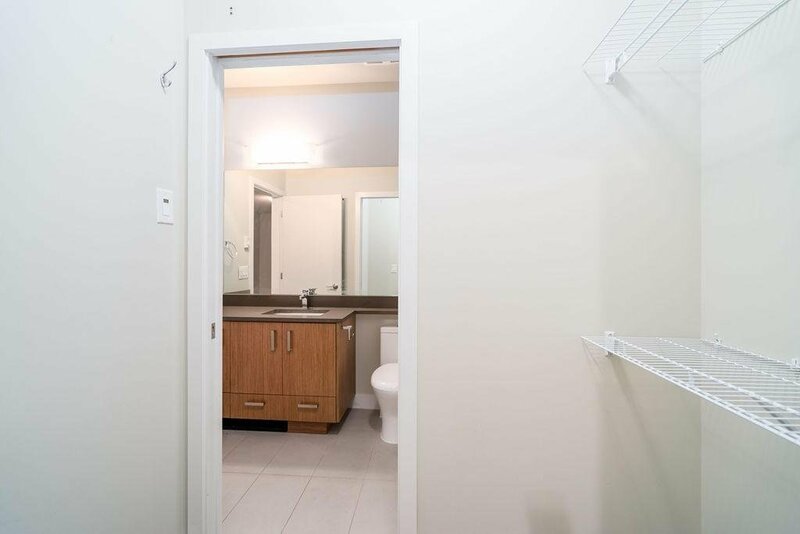 This unit comes with a storage locker! 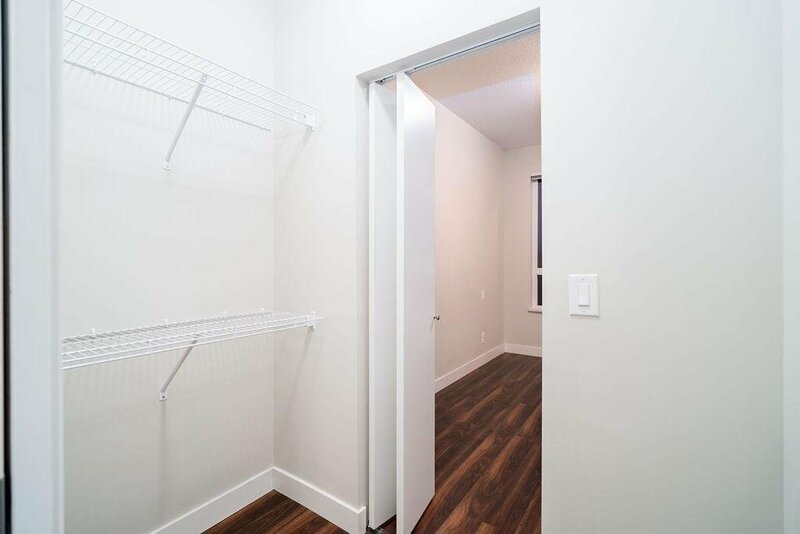 1 parking stall, pets allowed, 1 dog or 1 cat, and rentals allowed. 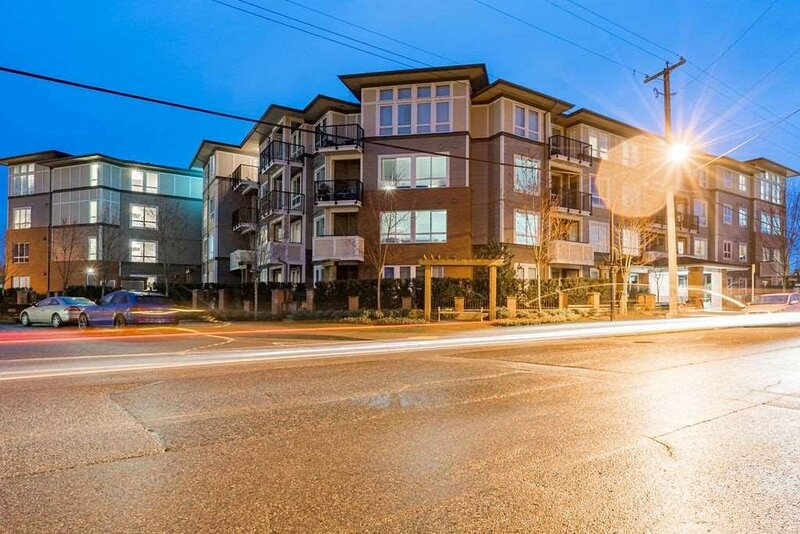 Centrally located across from Haney Nokai Park in Maple Ridge. 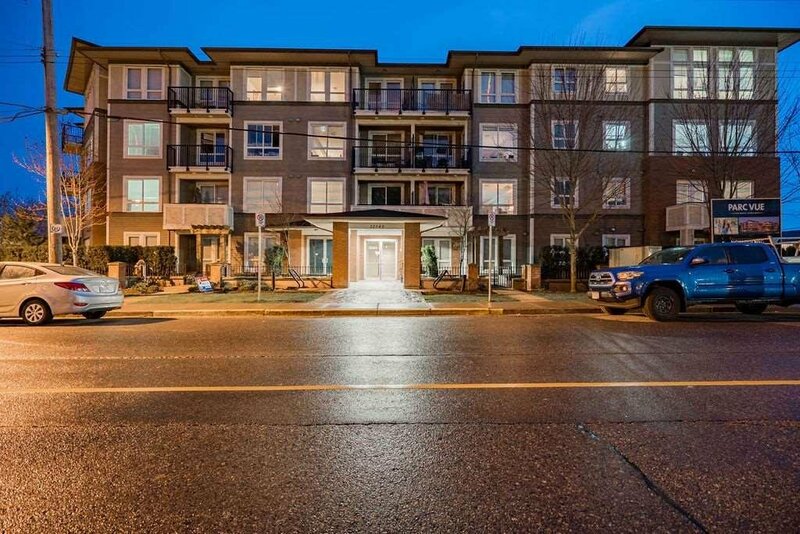 Close to schools, fantastic local shops, and transit. 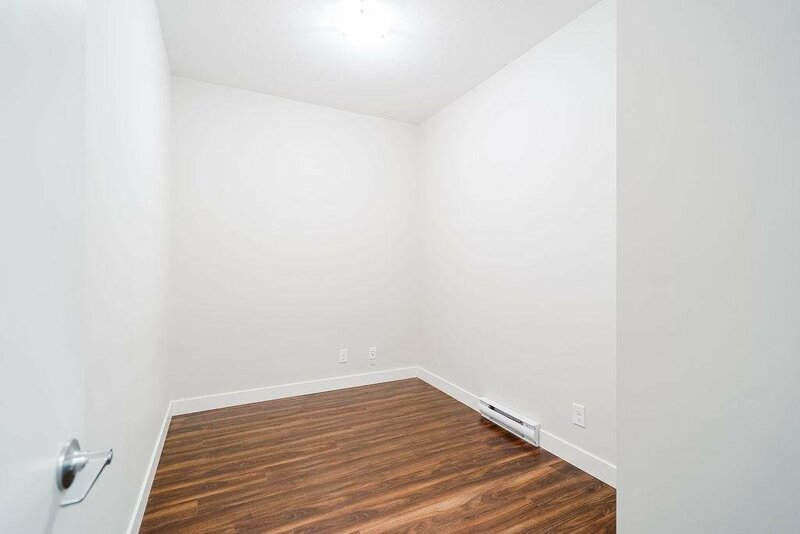 Possession available immediately! 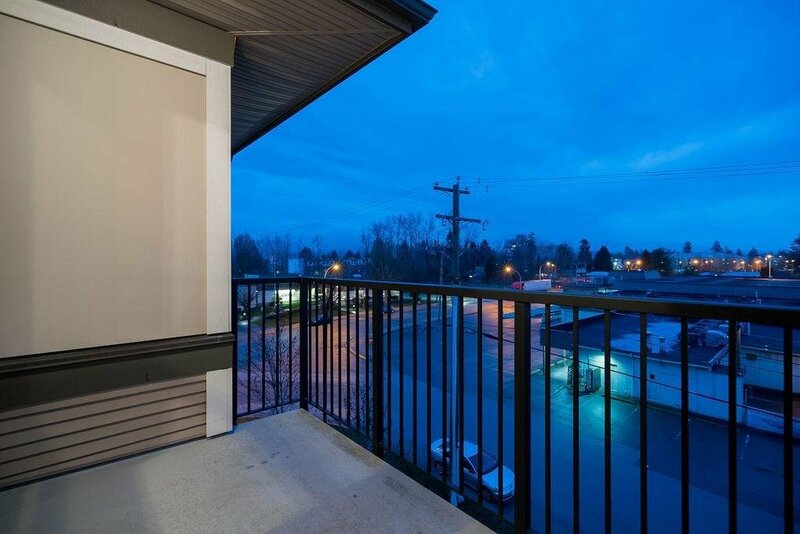 Easy to see anytime, call today to book a showing.